Cottesloe Car & Ute Hire has a consistent and successful history of catering for long term car rental customers, Having supplied longer term rentals to a whole range of people and business for a variety of purposes. . So often either because of work, lifestyle or finances the decision of long term car hire comes up and for a-lot of people it makes sense, taking the hassle and cost out of buying a car and the expense of maintaining the car. We offer a variety of quality and reliable hire cars to meet what ever your purpose is, whether it is commercial or private. We offer a range of smaller automatics and manuals as our cheaper range of vehicles that suit the single person (to and from work, around the metro area) to small families. These vehicles are cheap on fuel and easy to park and tend to be one of our more popular rental cars when it comes to long term car rental. Commercial Long term rentals – Utes / Vans We receive a-lot of commercial long term renters, for various businesses, responding to seasonal increases in demand, business expansion, or whatever may be the case. 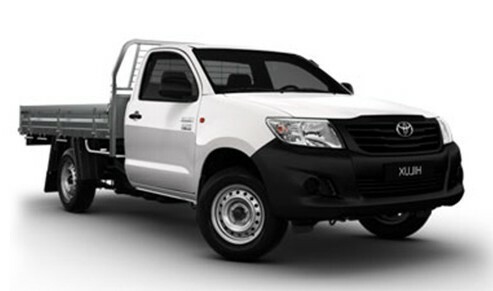 We offer the Toyota Hilux ute and the Mitsubishi Express van. The hilux is a proven workhorse, being a one tonne ute with a tray and tow ball, the ute is capable of satisfying most purposes. The same can be said for the Mitsubishi Express van. For more information, check out our hire vehicles section. We are flexible with payment arrangements and invoicing requirements for our customers, so you only need to explain your requirements and we will endeavor to do what we can to meet them. Prices based on minimum three month hire. If you can find a better long term car rental quote (that is comparable with insurance in mind) please let us know and we will see what we can do to beat it! Ongoing Repeat Hire At Cottesloe car hire we have a large loyal client base that keeps coming back, we work hard to create, develop and maintain good working relationship’s with our customers and that they get the best car rental rates. Why Long term Car rental ? What are the Benefits There are a range of benefits to long term car rental that should be of consideration when you make such a decision. Since you a renting the vehicle you do not have a separate : Insurance Expense, Registration Expense, Car Servicing Expenses and all the on-going vehicle maintenance expenses like tyres, fluids, belts, suspension, wiper blades, headlights ….. The list goes on. When you have a long term car rental, all of these costs are covered by us. In place of renting, buying a car has a range of both costs and time involved. Having to find a reliable vehicle, get it for the right price, does it have a warranty, Registration Cost’s, Transfer costs, ….. And then of cause, there’s the ongoing depreciation of the asset itself and the eventual sale and expenses that may involve. With out question though buying a car can be the right choice in certain circumstances but in others you really need to ask : how long do you need a vehicle for ? how often are you going to use it ?